Whether starting from scratch or re-designing an existing website there is a lot to consider. It seems like every day there are more and more options for website design. Not everyone selling website services has your best interests in mind. How do you know what is best for your company when there are so many misconceptions about website design? This list should help you sort the facts from fiction so you’re better informed to do what is best for you. 1. Any website is fine, after all, we’re not a tech company. When was the last time you used a phone book? Odds are you can’t remember. Today when people need any piece of information, including something as simple as a phone number or address, they search online. For most customers, the first interaction they will have with your business is your website. Today a company’s website is their new “front door.” Does yours give the right first impression? 2. You don’t even need a website anymore. Facebook is enough. Facebook is a great way to promote your website, connect with your customers, and even advertise, but it doesn’t replace your website. A Facebook page is an important part of a business digital strategy, but it simply serves a different purpose. Your website should be the hub all your other digital activities point toward. 3. You can save a lot of money with one of those “do it yourself” website builders. Technically that is true, but as with all things, you get what you pay for. Most of the DIY website builders have limited functionality, are poorly optimized for search engines, and lack adequate reporting so you can measure traffic, conversions, and other key metrics on your site. A website built by a reputable agency should have both the visual look and feel you’re after and technology on the backend that delivers results for your business. 4. If you don’t sell products online your website is really just a brochure to tell people about your company. At first, that is exactly how companies used websites, but if your website isn’t actively impacting your business, then odds are it’s out of date. Today websites collect and even nurture leads, provide customer service, and create meaningful engagement with customers. A good website is practically a living, breathing thing. 5. If you build it they will come. Everybody has heard a story about a guy that made a million bucks overnight on the internet. Once upon a time that happened for a few people back in 1994. Like most other things in business, overnight success is pretty rare, but persistence and planfulness pay off. A well-designed website with a solid content strategy will deliver results over time. 6. With the right keywords, you can cheat the Google algorithm. Cheaters never win and like the omniscient god of the interwebs, Google always knows… People who try to cheat the Google algorithm usually get short-term gains and long-term losses. Mostly because Google refines their software to weed out that type of content. Google continually updates their algorithm for one important reason–to make the search engine itself produce the best possible results for people using it. So, if you really want to get good rankings on Google you should focus on writing good content rather than black hat SEO to game the system. 7. You really know what your customers want. When I was a kid I never had spinach until I was twelve years old. Why? Well, apparently my mother didn’t like spinach, so she assumed her kids wouldn’t either. So one night I had dinner at a friend’s house and was served spinach. I loved it! Many businesses make the same mistake my mother did–they assume their customers are just like them. In reality, your customers are likely different from you in a variety of ways, thus your website should be tailored to those customers rather than your personal preferences. 8. It doesn’t have to be pretty. Looks aren’t everything, but websites are a lot like books. People actually do judge them by their cover. If a website is outdated, poorly designed, or otherwise unattractive people will judge your company based on that appearance. Your website is usually the first way that customers interact with your company. Most people do an internet search even if all they need is your phone number. So yes, appearances matter. Your website is your company’s new front door. 9. You have to have something flashy to grab people’s attention. In the early days of the internet people often treated online marketing like offline marketing. They thought you had to grab your attention in some interruptive way, and so they used techniques from TV, radio, and billboards to grab people’s attention. The problem is this–online you already have their attention, so excessively bright colors, overly large fonts, and flash audio and animations are just too much for people online. No one wants to be bombarded with that kind of chaos, and if you annoy them, they will leave your site, and quickly. 10. Once it’s built we won’t have to think about it again until the next re-design. A good website is more than a brochure, it is the hub of your company’s digital marketing strategy, it’s the front door for your business, it’s a customer service agent, and so much more. 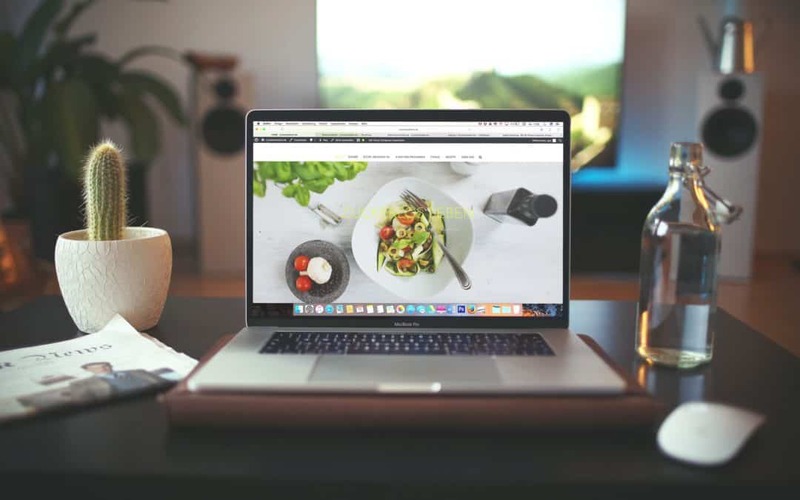 Your website is integral to your company’s success, and as such it requires care and feeding, just like every other aspect of your marketing strategy. If your website isn’t integrated into the ongoing marketing of your company then you are missing a significant opportunity for growth in your business. The great news is that more than ever before your website can be a tool that actively helps you to achieve your business goals. Technology keeps changing and evolving in exciting ways, and at Graziani Multimedia we love helping organizations leverage their website for growth. If you have any questions we’re happy to answer them in the comments or via our contact form.